Lasagna! so sweet in the ears and in the mouth, so rich, so filling, so appetizing. I can think of more than ten instances I have had it on the go with no regrets or hard feelings about putting on some pounds. Ok, enough with my drooling over lasagna, let’s get to why we are here. 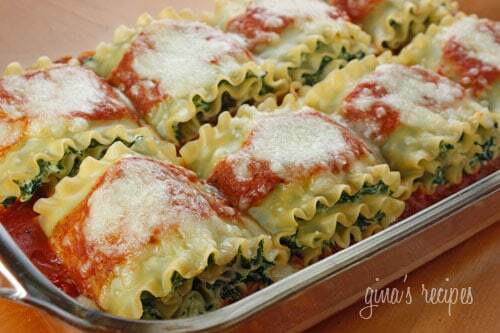 Lasagna is a dish that fits into almost every budget and every event. It is one of the perfect pasta inventions. But even though we know how to eat lasagna, finding what to serve with it for a house party or at home might not be easy, so let’s walk through it together. We have some lasagna recipes and side dishes to serve with this pasta and like we do all the time, they are on point, read on! Lasagna as the name implies means “flat noodles” in Italian basically, it refers to pasta which is made in flat shapes, these flat pasta usually comes with lots of layers and sauces and fillings depending on the kind of lasagna being made or how much ingredients you use for the lasagna. These layers could be meat, cheese, vegetables and so on. 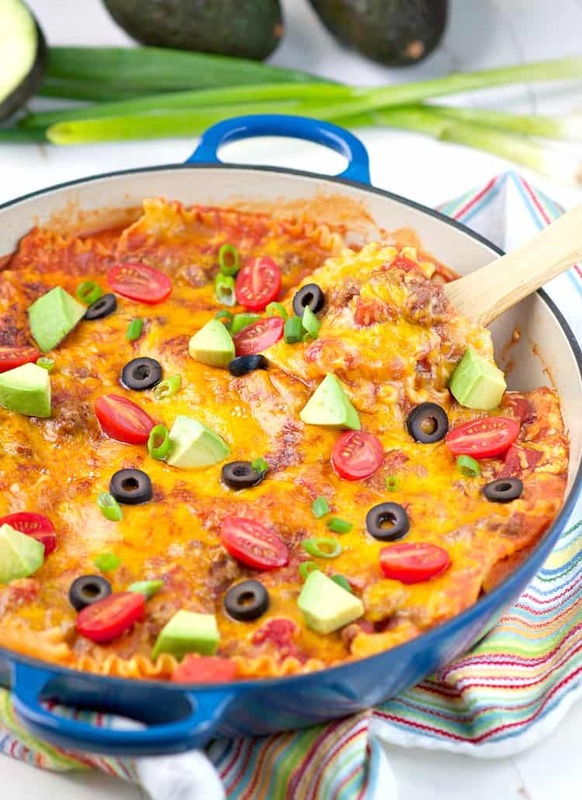 Most lasagna types are on the fatty side so if you want to watch your weight you have to add some moderations but if you want to have a treat, lasagna is the way to go. How Did Lasagna Come about? 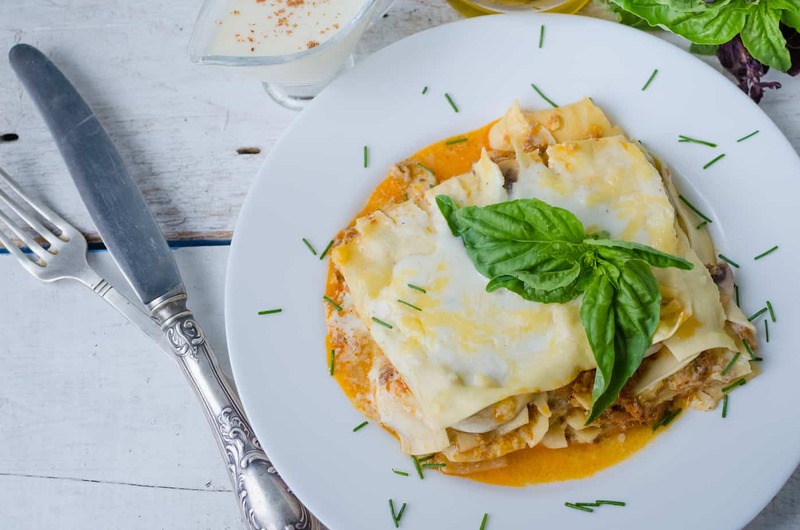 There have been lots of stories about the exact source of Lasagna as many countries have laid claim to it (as always) but amongst them all, Italy has been the overall claimer. 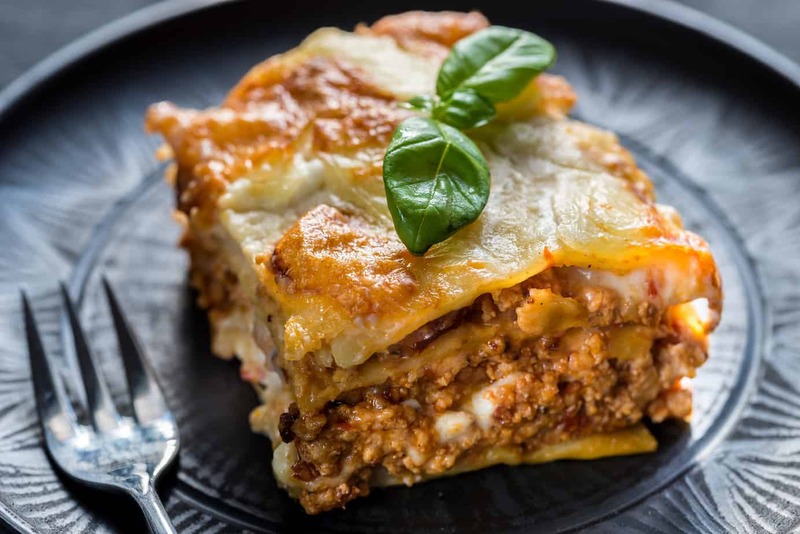 Greece and Britain also hold a bit of ancient history to the origin of lasagna, a British cookbook was discovered around the early 1930’s and this has given the British some stance to claim the discovery of lasagna. It is said that chefs at that time made use of the lasagna recipe and served them during banquets for different events. This kind of lasagna is best if you feel the urge to have vegetables in it. 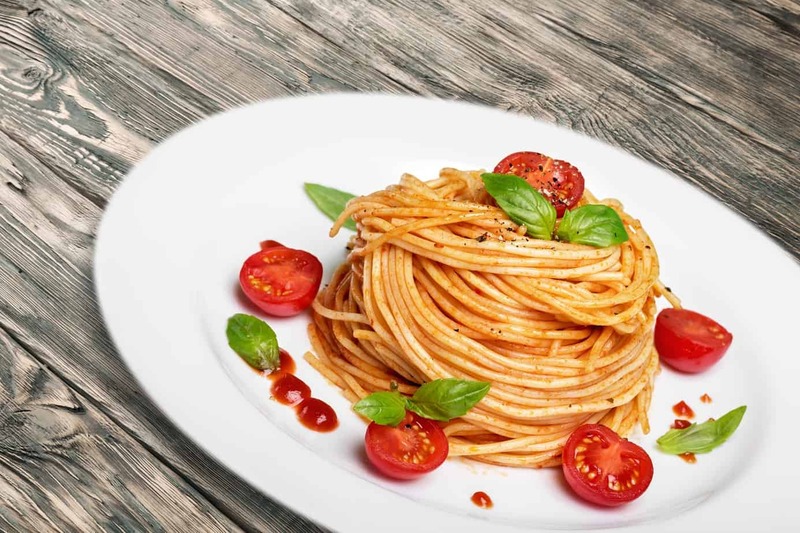 It is usually in skinny sheets which gives it an attractive thin look when served and you don’t get to take so much pasta because of the skinny slices. This recipe by Skinny taste is precise, simple and exact, you can also substitute the sauce with whatever else you want to use at your disposal. This is one lasagna type that is very cheesy! In most cases, two to three different variety of cheese are used and the taste is always soothing. This recipe by Pillsbury doesn’t require a lot of time compared to some other cheese and chicken lasagna recipes and the dish came out as expected so give it a try. If you are looking for a lasagna kind that is not time-consuming and does not require a lot of ingredients and preparation, this is for you. The recipe I used by The seasoned mom is a Mexican special. The whole cooking and prep time took about 30 to 40 minutes and I was very satisfied with the outcome. Done with some lovely lasagna recipes, let’s look at some side dishes to “wow” out your lasagna shall we? Here they are. 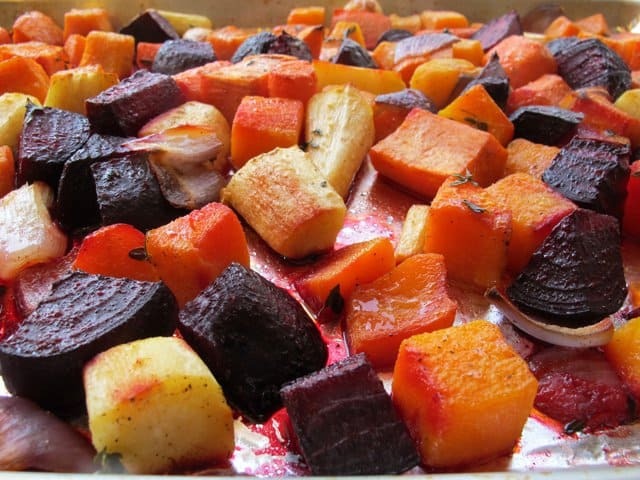 What better to go with lasagna than well-prepared vegetables, there are many ways to roast your vegetable so it is best you go with the type that compliments the kind of lasagna you are preparing. This root roasted vegetable recipe by Torey Avey is so delicious when paired with a cheese and chicken lasagna and I know it will work well with other lasagna types. The amount of calories in Zucchini chips is quite low compared to what you get in a typical lasagna meal so not only does it pair well in taste, you aren’t also getting so many calories. 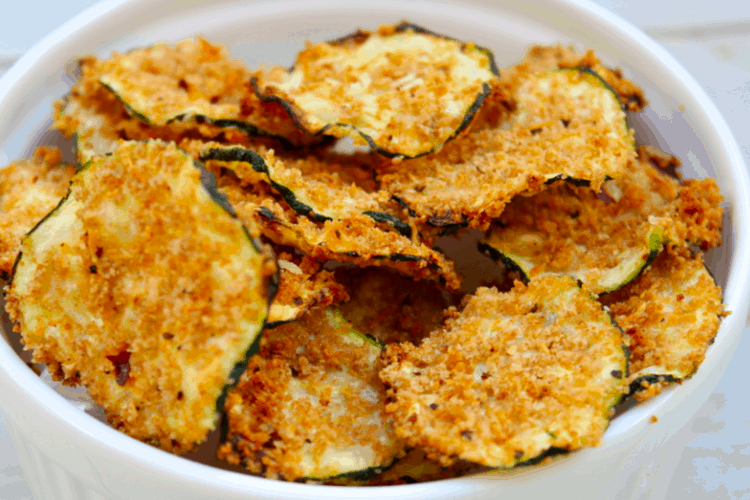 For a very crispy and not so spicy zucchini chips recipe, make use of this one by Skinny ms, it turned out just as it was described and tasted even better (of course). 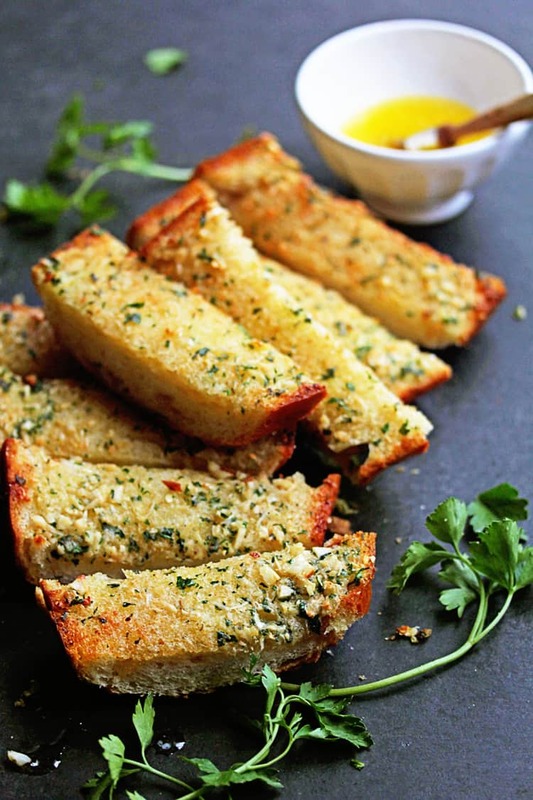 Garlic bread never fails to taste just the right way especially when paired well, homemade garlic bread is the best and I got a nice recipe from Grandbaby cakes. The combination works fine because the plainness of the garlic bread allows the taste of the lasagna become very pronounce, you can add or reduce spices used for the bread according to your discretion. Now who would have thought that fried plantains (yes plantains) with a dish like lasagna will be well spoken of? Well, it is. Tostones are popular in some parts of the world such as Costa Rica, it is basically fried unripe or fairly ripe plantain and it tastes really good when fried the right way but the tricky part is getting the right oil temperature. So I got this recipe by Nom nom paleo which is as detailed as can be. Follow this and you will do it fine. Lasagna is a meal that is usually very high in calories so if you intend cutting down on your weight then you should eat it with caution. Also making use of already made noodles saves a whole lot of time but it is also a good learning process if you try making them whole yourself especially if you are a chef or cook, more knowledge can’t hurt right? If you constantly run into the issue of having your noodles all clumped up while cooking, you can try laying them flat on oiled pans after boiling, this way they don’t stick together and get clumped. Having said all that, I will like to know more about what kind of lasagna you find best and comforting so please let me know, you can also send in your comments and questions, I am here to read them all. Lasagna here we come! Discover The Best Servings With Mac And Cheese!